We set high standards for where we’ll place links, but sometimes you need something stronger to rank your keywords, and the best way is to get high Domain Authority Homepage links. Over the last few years, we’ve developed relationships with site owners in nearly every niche. 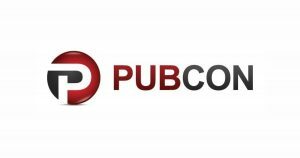 After you give us your URLs and keywords, we go out and manually contact these publishers and place the links for you. Simply, provide us with your keywords, URLs, and any special instructions. Using 100% blogger outreach, we contact publishers and place your links on their sites. We deliver a fully transparent report on your new links within 30 days. We have a worldwide team of customer advocates on standby to support you so that all your questions get an answer, fast. We all know that link building is annoying and takes up a lot of your precious time but you have to do it because outsourced link building is usually done badly. Here, we are different, we power some of the biggest inbound agencies in the world. With us, you’ll know exactly when you’re going to receive your report. We Guarantee It. 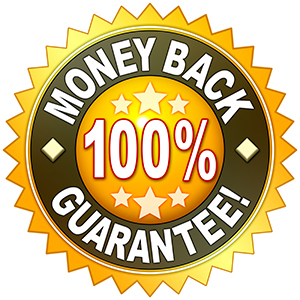 Our 100% Money Back Guarantee gives you the peace of mind that you’ll get your report on time, every time. Very quick in getting back to me with any questions I have and I'm already seeing some good results for my clients. After working together for 3 years. I thought it was about time I said thanks properly, you have been great for my agency. Professional and easy to collaborate with, we are so happy as they have helped us to grow our business without hiring more staff. Many thanks! Having worked with Rich at Caffeinated for some time now, I can thoroughly recommend. Their knowledge of SEO is second to none and we have achieved fantastic results since we started working together. This company have helped our clients rank for thousands of search terms over the last 2 years. The level of service provided is second to none and we are pleased to highly recommend. Clients keep praising me and asking me how I do it. If only they knew the truth. Thanks, your SEO services are outstanding. Thanks as always guys, supreme service. You know its been 5 years and your still nailing it every time. Thanks again for the great links and for the 25% new member discount. Only I should have ordered more, your links rock! Thanks for a awesome service. I'll be placing more orders. My 'stuck on page 3' site is now on page 1. Do you have links for my niche? Yes. We have enough inventory from thousands of campaigns we have run already… If for some reason we don’t, we’ll let you know when you order. Are all the sites WP sites? No, they are not all WP sites, although with WP powering 30%+ of all sites on the internet, some will be. Are sites in same niche as money site? We try to get as close to your niche as possible, if it is not in your niche it will be very close. How many outbound links will there be on the sites? The number of OBL varies a lot, just like any site. Most only have just a couple links, however we don’t have a specification on it as it is up to the site owner. Will my link be next to any pharma, adult or casino links? Only if you are building links for a pharma, adult or casino site, otherwise definetly not. Do all the links have to be from the same domain or same niche? No. You can use any links / anchor / niche combos that you want. We do recommend buying at least 5 links per site though to see any significant movement. How many sites do you have relationships with? Over 10,000 sites and growing. We only place your links on the best ones. If you don’t own these sites, how do you guarantee they are permanent? All links are audited on a regular basis. If a link goes down we replace it with a link of equal or better quality. This is a manual process to ensure the replacement links are done as soon as possible. If you find a link is down, please just contact our support and we’d be glad to help you out! What is the average link DA for the 5, 10 and 20 package? Average DA 20-30 with a minimum of DA15 for every site. Do you recommend keyword anchor text for these or URL/brand? To keep things natural, we suggest focusing on natural and branded keywords pointed to high traffic pages to drive as much authority as possible in the safest way. Do the links I get go up in my dashboard so I can keep track? Yes, reports are available in your Dashboard. Are these links blocked from the link research tools? No they’re not blocked. You will see them using your chosen back link checker.